Investigators are going over the Garrido property with a fine-toothed comb. More bones were found on Phillip Garrido's Antioch property, police announced on Friday. The late afternoon announcement from police makes for another significant element that may help police find two missing bay area girls. But the teams of investigators are looking for clues that may connect Phillip and Nancy Garrido to two 20-year-old missing person cases,. They hope all their work will pay off. 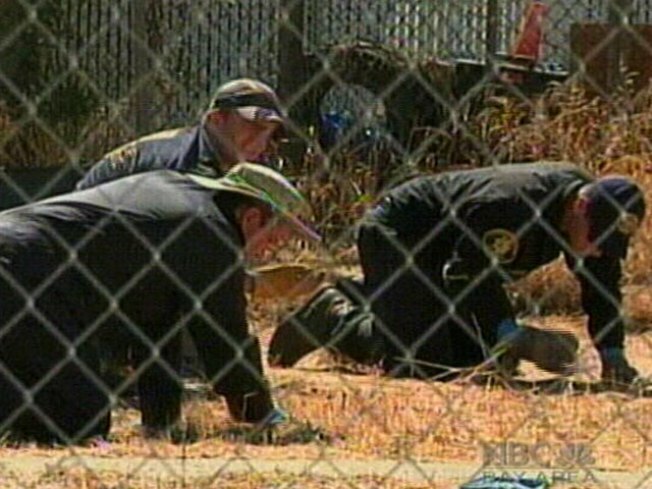 Experts used a special scanning device to detect possible human remains underground. "We're removing concrete slabs that inhibited dogs and machinery to get a look at that area," Kurt von Savoye of the Dublin Police Department said. "(We" removed sheds that the dogs and machinery couldn't get to before." Thursday, cadaver dogs picked up a scent on the Garrido property. "The handlers say that alert was on some decomposing flesh," Chris Orrey of the Hayward Police Department said. "We have to be cautious. It could not be related to our cases at all." But again it could. Bones were found on the Garrido property and the property next door. The bones are being tested to determine if they are animal or human. "We haven't come up with the one item that makes people get excited that's how investigations go," Orrey said. Pictures taken by the Contra Costa County building inspectors showed how Jaycee Dugard and her young daughters lived in squalor with the Garridos. Police said their respective agencies are not in direct contact with Dugard, but she has been asked questions about the two missing girls. The entire operation will likely conclude by mid-week, according to Orrey. "I think the property will look a lot better than it did before we got here," she said.